As we learned in our previous lesson, Martin Harris lost the first 116 pages of Book of Mormon transcript in June of 1828. This transgression created a new problem—the lack of a scribe. The Prophet was told in late summer of 1828 when the plates were returned to him by Moroni not to labor more than he had the strength and means provided (D&C 10:4). As a result, Joseph apparently did little translating from June 14, 1828 until April 7, 1829, after Oliver Cowdery arrived. In the winter of 1828 Oliver Cowdery taught school near the home of Joseph Smith, Sr. near Palmyra , New York . It was the custom of the day for teachers to board in the homes of their pupils, and since the Smiths had children in Oliver’s school, he came to stay with them. While there he heard stories about the Book of Mormon plates and asked Father Smith to tell him the details. After some hesitation, Father Smith finally consented, and Oliver became one of the few in whom the family confided the story. Shortly after receiving this information, he [Oliver] told Mr. Smith that he was highly delighted with what he had heard, that he had been in a deep study upon the subject all day, and that it was impressed upon his mind, that he should yet have the privilege of writing for Joseph. Furthermore, that he had determined to pay him a visit at the close of the school . . .
On coming in on the following day, he said, ‘The subject upon which we were yesterday conversing seems working in my very bones, and I cannot, for a moment, get it out of my mind; finally, I have resolved on what I will do. 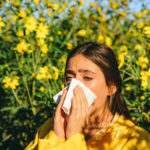 Samuel [Smith], I understand, is going down to Pennsylvania to spend the spring with Joseph; I shall make my arrangements to be ready to accompany him thither, . . . for I have made it a subject of prayer, and I firmly believe that it is the will of the Lord that I should go. If there is a work for me to do in this thing, I am determined to attend to it’ (Lucy Mack Smith, History of Joseph Smith , ed. Preston Nibley , 139). The following April, Samuel Smith took Oliver Cowdery to Harmony, Pennsylvania , to visit Joseph. They arrived on April 5, 1829. Lucy Mack Smith said: “Joseph had been so hurried with his secular affairs that he could not proceed with his spiritual concerns so fast as was necessary for the speedy completion of the work; there was also another disadvantage under which he labored, his wife had so much of her time taken up with the care of her house, that she could write for him but a small portion of the time. On account of these embarrassments, Joseph called upon the Lord, three days prior to the arrival of Samuel and Oliver, to send him a scribe, according to the promise of the angel; and he was informed that the same should be forthcoming in a few days. Accordingly, when Mr. Cowdery told him the business that he had come upon, Joseph was not at all surprised.” (Lucy Mack Smith, History of Joseph Smith , ed. Preston Nibley , 141). The Prophet Joseph Smith said: “Two days after the arrival of Mr. Cowdery (being the 7th of April) I commenced to translate the Book of Mormon, and he began to write for me, which having continued for some time, I inquired of the Lord through the Urim and Thummim, and obtained the following: [D&C 6].” ( History of the Church , 1:32–33). It was customary in those early days of the restoration for believers to ask Joseph Smith for a revelation concerning themselves. They were anxious to know the Lord’s will for them, much like we do today with our patriarchal blessings. And often, the same counsel was given to more than one person. Missionary work, in particular, was a consistent theme of these revelations. Later in the month of April, Joseph received a revelation for his new scribe (D&C 6). In this revelation Oliver Cowdery was given a further testimony of the divinity of the work. It was not unique to him. We see the same counsel given to Hyrum Smith in D&C 11:1–9, to Joseph Knight, Sr. in D&C 12:1–5, and to David Whitmer in D&C 14:1–5. The message in these verses is of universal importance to all Saints—indeed, the Lord has said: “What I say unto one I say unto all” (D&C 61:18, 36; 82:5; 92:1; 93:49). We learn further in this revelation to Oliver Cowdery that those who desire to serve will be called to the work (D&C 6:1–5). The restoration is “a great and marvelous work” (v. 1), and the Lord’s words are “quick and powerful” (v. 2). “Quick” in biblical language does not mean “swift” but rather means something “living, alive” (“Quick,” LDS Bible Dictionary , 756). Thus, to be quickened by the Spirit means to be given spiritual life. 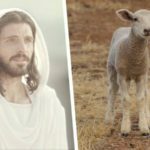 The “field” (world) is characterized as “white already to harvest” (v. 3), which means that there are souls ready and waiting to hear the life-giving words of the Lord. Those who desire to “thrust in his sickle and reap” will be “called of God” in answer to their prayers (vv. 3–5). The grand purpose for all of this is the establishment of Zion (D&C 6:6–7). Joseph Fielding Smith said: “In the early days of the Church the brethren came to the Prophet Joseph Smith asking what the Lord would have them do. The answer given to them was ‘to bring forth the cause of Zion .’ That is our work, to establish Zion , to build up the kingdom of God , to preach the gospel to every creature in the world, that not one soul may be overlooked where there is the possibility for us to present unto him the truth.” (in Conference Report, Apr. 1951, 152–153). Oliver Cowdery was given the sacred gifts of knowing “mysteries which are great and marvelous” and the ability to expound them to others (D&C 6:8–13). Whatever Oliver desired of the Lord while doing this work would be given to him, and he would be the means of doing much good in this generation” (v. 8). However, despite his depth of knowledge and understanding, Oliver was to “say nothing but repentance unto this generation; keep my commandments, and assist to bring forth my work, according to my commandments” (v. 9). Oliver was reminded that his gift was “sacred and cometh from above” (v. 10) and if he would exercise it properly he could “bring many to the knowledge of the truth, yea, convince them of the error of their ways” (v. 11). Oliver was a participant in many of the most sublime revelations of this dispensation: the restoration of the Aaronic and Melchizedek Priesthoods, the visitations of Moses, Noah (Elias), and Elijah to restore the keys of the priesthood, and the appearance of the Savior Himself in the Kirtland Temple . He saw the angel Moroni as one of the three witnesses to the Book of Mormon, and he was present on multiple occasions when the Prophet Joseph Smith received revelation from on high. He was the “second elder” of the Church, and held all the keys of this dispensation along with Joseph. He was a gifted writer and teacher, and taught and baptized many souls who believed on his words. In every way possible, his life was a fulfillment of this promise made to him in 1829. The Lord cautioned him not to make his gift known “unto any save it be those who are of thy faith” and to “trifle not with sacred things” (v. 12). In other words, he was not to brag or be prideful concerning his gifts, and was not to take them lightly. And he was promised that if he would “do good . . . and hold out faithful to the end, thou shalt be saved in the kingdom of God, which is the greatest of all the gifts of God; for there is no gift greater than the gift of salvation” (v. 13). This was a promise of exaltation for Oliver Cowdery. Oliver Cowdery had also been given the gift of a personal witness of the truthfulness of this latter-day work (D&C 6:14–16, 22–24). In saying this, the Lord was speaking of things that nobody knew except Oliver himself. He said: “thou hast inquired of me, and behold, as often as thou hast inquired thou hast received instruction of my Spirit. If it had not been so, thou wouldst not have come to the place where thou art at this time” (v. 14), meaning to Harmony, Pennsylvania . The Lord continued, “thou hast inquired of me and I did enlighten thy mind; and now I tell thee these things that thou mayest know that thou hast been enlightened by the Spirit of truth” (v. 15). He reminds Oliver “that there is none else save God that knowest thy thoughts and the intents of thy heart” (v. 16). From this we can conclude that our thoughts and the intents of our hearts are private. 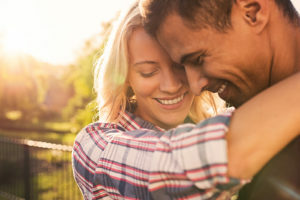 Bruce R. McConkie said: “Men’s thoughts are secret and cannot be pried into by other men, or for that matter by devils.” ( Mormon Doctrine, 777; see also 1 Kings 8:39). If he needed a further witness that God was speaking to him, he was invited to “cast your mind upon the night that you cried unto me in your heart, that you might know concerning the truth of these things” (v. 22). This was a reference to the prayer Oliver had offered in the privacy of his bedroom while staying with the Smiths in Palmyra before he had even met the Prophet Joseph Smith. “Did I not speak peace to your mind concerning the matter?” the Lord asks. “What greater witness can you have than from God?” (v. 23). And now again, he was receiving a witness “for if I have told you things which no man knoweth have you not received a witness?” (v. 24). 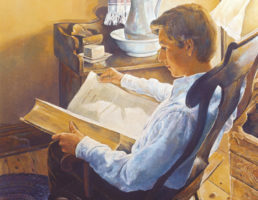 The Prophet Joseph Smith said: “After we had received this revelation [D&C 6], Oliver Cowdery stated to me that after he had gone to my father’s to board, and after the family had communicated to him concerning my having obtained the plates, that one night after he had retired to bed he called upon the Lord to know if these things were so, and the Lord manifested to him that they were true, but he had kept the circumstance entirely secret, and had mentioned it to no one; so that after this revelation was given, he knew that the work was true, because no being living knew of the thing alluded to in the revelation, but God and himself.” ( History of the Church , 1:35). Oliver had been given this revelation (D&C 6) “as a witness unto thee—that the words or the work which thou hast been writing are true” (v. 17). He was counseled to diligently “stand by my servant Joseph . . . in whatsoever difficult circumstances he may be for the word’s sake” (v. 18). As Joseph’s counselor, he was to “admonish him in his faults, and also receive admonition of him” (v. 19). 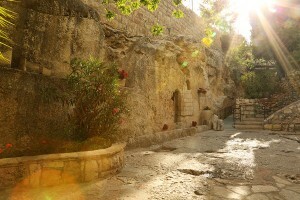 He was to “be patient; be sober; be temperate; have patience, faith, hope and charity” (v. 20). He was to “treasure up these words in thy heart” and “be faithful and diligent in keeping the commandments of God, and I will encircle thee in the arms of my love” (v. 20). And lest he forget from whom he had received this counsel the Lord testifies to him that He is “Jesus Christ, the Son of God . . . the same that came unto mine own, and mine own received me not. I am the light which shineth in darkness, and the darkness comprehendeth it not” (v. 21). To fully appreciate the Lord’s counsel in this matter, we must remember that Oliver was much more literate than Joseph Smith. He was an educated man while Joseph was a minimally schooled farmer. It would have been very difficult for Oliver not to envy the marvelous privilege that Joseph had of translating ancient records. Oliver wanted very much to be able to translate ancient records also. The Lord said he would grant him his wish “if you desire of me, to translate, even as my servant Joseph” (v. 25). But he seemed to be referencing scriptures other than the Book of Mormon because he said: “there are records which contain much of my gospel, which have been kept back because of the wickedness of the people” (v. 26). If Oliver manifested “good desires—a desire to lay up treasures for yourself in heaven—then shall you assist in bringing to light, with your gift, those parts of my scriptures which have been hidden because of iniquity” (v. 27). Both Oliver Cowdery and Joseph Smith now had “the keys of this gift, which shall bring to light this ministry; and in the mouth of two or three witnesses shall every word be established” (v. 28). In D&C 6:29–31, Oliver is warned that people might reject his teachings, and “if they reject my words, and this part of my gospel and ministry, blessed are ye, for they can do no more unto you than unto me” (v. 29). This was a reference to the fact that the Lord’s enemies had put him to death. Even if Oliver’s enemies “do unto you even as they have done unto me, blessed are ye, for you shall dwell with me in glory” (v. 30). However, “if they reject not my words . . . blessed are they, and then shall ye have joy in the fruit of your labors” (v. 31). Joseph Fielding Smith said about Oliver Cowdery and the martyrdom of Hyrum Smith: “Had Oliver Cowdery remained true, had he been faithful to his testimony and his calling as the ‘second Elder’ and Assistant President of the Church, I am just as satisfied as I am that I am here that Oliver Cowdery would have gone to Carthage with the Prophet Joseph Smith and laid down his life instead of Hyrum Smith. That would have been his right. Maybe it sounds a little strange to speak of martyrdom as being a right, but it was a right. Oliver Cowdery lost it and Hyrum Smith received it. According to the law of witnesses—and this is a divine law—it had to be.” ( Doctrines of Salvation , comp. Bruce R. McConkie, 3 vols. [Salt Lake City: Bookcraft, 1954–56], 1:221–122). Though the infant Church was not yet officially organized and the believers were few, the Lord reassured Oliver that “where two or three are gathered together in my name, as touching one thing, behold, there will I be in the midst of them—even so am I in the midst of you” (v. 32). The Lord’s reassurances here were very personal and affectionate. “Fear not to do good, my sons, for whatsoever ye sow, that shall ye also reap; therefore, if ye sow good ye shall also reap good for your reward” (v. 33). Also, “fear not, little flock; do good; let earth and hell combine against you, for if ye are built upon my rock, they cannot prevail” (v. 34). Although believers at that point were probably less than a dozen, the eventual destiny of their work was global, and no enemy would ever be allowed to destroy them or their work. In this earlier time, when their efforts must have seemed somewhat obscure, the Lord reassured them that He did not condemn them for their weaknesses and they should “go your ways and sin no more; perform with soberness the work which I have commanded you” (v. 35). They should be neither faithless nor fearful. “Look unto me in every thought; doubt not, fear not” (v. 36). The Lord had suffered all things for them as evidenced by “the wounds which pierced my side, and also the prints of the nails in my hands and feet” so if they would “be faithful [and] keep my commandments” they could be assured that they would eventually “inherit the kingdom of heaven” (v. 37). Oliver had been promised the power to translate ancient records, and although the promise seemed to refer to future scriptures besides the Book of Mormon (D&C 6:25–28), he wanted to participate now in the translation of the plates of Mormon. The Prophet Joseph Smith said: “Whilst continuing the work of translation, during the month of April, Oliver Cowdery became exceedingly anxious to have the power to translate bestowed upon him, and in relation to this desire the following revelations were obtained: [D&C 8–9].” ( History of the Church , 1:36). In the revelation now identified as D&C 8, Oliver was told that through his faith and the Spirit, he might receive knowledge concerning the engravings Joseph was currently translating. Indeed, he could receive “knowledge of whatsoever things you shall ask in faith, with an honest heart, believing that you shall receive” (v. 1). 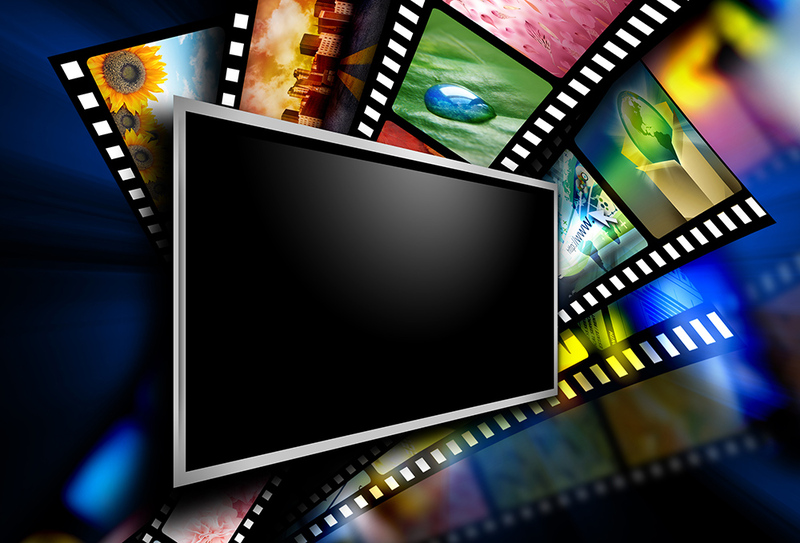 This makes faith an absolute requirement for gaining “a knowledge concerning the engravings of old records . . ., which contain . . . my scripture . . . spoken by the manifestation of my Spirit” (v. 1). Since these (and all) scriptures are given through the Spirit to prophets, it requires the Spirit to accurately translate those scriptures into another language. Thus, the Spirit is also an absolute requirement to do this work. The Lord invites Oliver to “ask that you may know the mysteries of God, and that you may translate and receive knowledge from all those ancient records which have been hid up, that are sacred; and according to your faith shall it be done unto you” (v. 11). The spirit of revelation comes by the power of the Holy Ghost (D&C 8:2–5). Presuming that a person has sufficient faith and the Spirit to help them, what is the process by which revelations come? These verses provide the answer. The Lord says, “I will tell you in your mind and in your heart, by the Holy Ghost, which shall come upon you and which shall dwell in your heart” (v. 2). Thus, revelation is not purely intellectual and not purely emotional. We receive knowledge in our minds through the Spirit, and at the same time we receive a witness in our hearts that the idea that has come to us is from God. 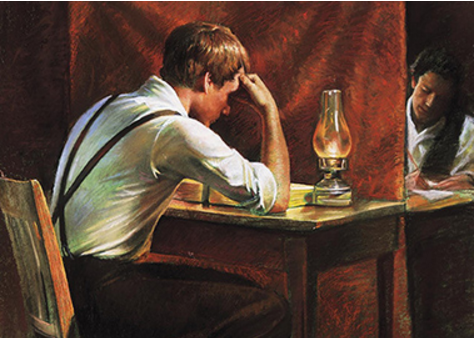 The Prophet Joseph Smith described the way that ideas come into our minds from the Spirit: “A person may profit by noticing the first intimation of the spirit of revelation; for instance, when you feel pure intelligence flowing into you, it may give you sudden strokes of ideas, so that by noticing it, you may find it fulfilled the same day or soon; (i.e) those things that were presented unto your minds by the Spirit of God, will come to pass; and thus by learning the Spirit of God and understanding it, you may grow into the principle of revelation until you become perfect in Christ Jesus.” ( Teachings of the Prophet Joseph Smith , sel. Joseph Fielding Smith [Salt Lake City: Deseret Book Co., 1976], 151). Boyd K. Packer said: “I have come to know that inspiration comes more as a feeling than as a sound. . . . The Lord has a way of pouring pure intelligence into our minds to prompt us, to guide us, to teach us, to warn us. You can know the things you need to know instantly! Learn to receive inspiration.” (in Conference Report, Oct. 1979, 28–29; or Ensign , Nov. 1979, 20). Elder Packer also said: “All inspiration does not come from God (D&C 46:7). The evil one has the power to tap into those channels of revelation and send conflicting signals which can mislead and confuse us. There are promptings from evil sources which are so carefully counterfeited as to deceive even the very elect (Matt. 24:24). 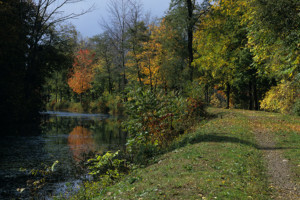 Nevertheless, we can learn to discern these spirits.” ( Ensign , November 1989, 14). This is one of the great challenges we all face—learning to distinguish between promptings from the Spirit and those feelings that are counterfeits: our own enthusiasm, emotional rushes, and false ideas planted in our minds by Satan. It is only by experience that we can come to discern consistently the spirit of revelation. As the Prophet Joseph Smith said: “By learning the Spirit of God and understanding it, you may grow into the principle of revelation.” ( History of the Church , 3:381). To Oliver Cowdery the Lord said: “Now, behold, this is the spirit of revelation; behold, this is the spirit by which Moses brought the children of Israel through the Red Sea on dry ground. Therefore this is thy gift; apply unto it . . .” (vv. 3–4). Note this call to action, not merely waiting for the Lord to do it for him. If he (and we) will do this, “blessed art thou, for it shall deliver you out of the hands of your enemies” (v. 4). George Q. Cannon said, [This spirit is] “the same spirit of revelation that Moses had . . . [and] rests upon him who holds the presidency as senior apostle in the midst of the people of God. The apostles of this Church have all the authority, they have all the keys, . . . all the spirit of revelation necessary to lead this people into the presence of the Lamb in the celestial kingdom of our God. . . . The same spirit of revelation that rested upon Moses, and which enabled him to lead the children of Israel through the Red Sea , rests upon the servants of God in the midst of this people, and you will find it so to your entire satisfaction if you will listen to their counsels and be guided by them.” (in Journal of Discourses , 21:270–71). In addition to the gift of translation, Oliver was given “the gift of Aaron” which “has told you many things” (D&C 8:6). This gift can only be bestowed through the power of God (v. 7), and requires absolute faith (v. 8). The Lord promises Oliver, “you shall hold it in your hands, and do marvelous works; and no power shall be able to take it away out of your hands, for it is the work of God” (v. 8). Furthermore, “whatsoever you shall ask me to tell you by that means, that will I grant unto you, and you shall have knowledge concerning it” (v. 9). Joseph Fielding Smith said: “Like Aaron with his rod in his hand going before Moses as a spokesman, so Oliver Cowdery was to go before Joseph Smith. Whatever he should ask the Lord by power of this gift should be granted if asked in faith and in wisdom. Oliver was blessed with the great honor of holding the keys of this dispensation with Joseph Smith, and, like Aaron, did become a spokesman on numerous occasions. It was Oliver who delivered the first public discourse in this dispensation.” ( Church History and Modern Revelation, 1:52). Oliver Cowdery was educated and eager, but he was a novice with spiritual things. The Lord counsels him to “remember that without faith you can do nothing; therefore ask in faith” (v. 10). Also, he was not to take lightly his gifts or the process by which they would be manifest. “Trifle not with these things; do not ask for that which you ought not” (v. 10), as Martin Harris had done. 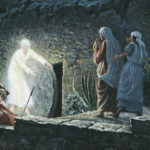 Instead, he was to ask for the gifts he had already been promised, “that you may know the mysteries of God, and that you may translate and receive knowledge from all those ancient records which have been hid up, that are sacred” and if he does this “according to your faith shall it be done unto you” (v. 11). The Lord assures him that these promises are from Him, and that it is He who guided Oliver Cowdery toward this work (v. 12). J. Reuben Clark, Jr. said: “As I think about faith, this principle of power, I am obliged to believe that it is an intelligent force. Of what kind, I do not know. But it is superior to and overrules all other forces of which we know. . . . You brethren, we brethren, have had this great power given unto us, this power of faith. What are we doing about it? Can you, can we, do the mighty things that the Savior did? Yes. They have been done by the members of the Church who had the faith and the righteousness so to do. Think of what is within your power if you but live the Gospel, if you but live so that you may invoke the power which is within you.” (in Conference Report, Apr. 1960, 21). Oliver Cowdery proceeded to attempt to translate the Book of Mormon; however, Oliver’s faith was insufficient to receive the essential inspiration to accomplish the task. He was bitterly disappointed and sought to know why he could not translate. 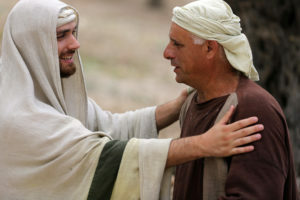 In a revelation he received through Joseph (D&C 9) the Lord instructed him to be content to serve for the time being as scribe ( History of the Church , 1:36–37). Joseph Fielding Smith said: “It seems. probable that Oliver Cowdery desired to translate out of curiosity, and the Lord taught him his place by showing him that translating was not the easy thing he had thought it to be. In a subsequent revelation (Sec. 9), the explanation was made that Oliver’s failure came because he did not continue as he commenced, and the task being a difficult one, his faith deserted him. 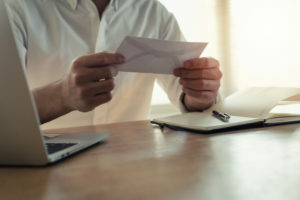 The lesson he learned was very necessary, for he was shown that his place was to act as scribe for Joseph Smith and that it was the latter who was called and appointed by command of the Lord to do the translating. 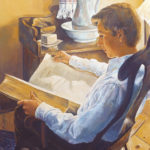 There must have been some desire on the part of Oliver Cowdery to be equal with the Prophet and some impatience in having to sit and act as scribe, but when he failed to master the gift of translating, he was then willing to accept the will of the Lord.” (Church History and Modern Revelation, 1:50–51). Oliver’s primary calling was to write while Joseph Smith translated. Because he had tried and failed to translate, the Lord commanded Oliver to “commence again to write for my servant, Joseph Smith . . . until you have finished this record, which I have entrusted unto him” (v. 1). If will faithfully do this, the Lord has “other records” that Oliver may “assist to translate” (v. 2). He gently advises Oliver to “be patient, my son, for it is wisdom in me, and it is not expedient that you should translate at this present time” (v. 3). The work he was called to do was to “write for my servant Joseph” (v. 4). Oliver was advised by the Lord to “not murmur, my son, for it is wisdom in me that I have dealt with you after this manner” (v. 6). The Lord has higher purposes in the events of our lives, and we often do not fully understand or appreciate them until much later. One of the Lord’s purposes in this case was to teach Oliver (and the rest of us) how to discern the spirit of revelation. This could not be done if he had easily and without effort received the gift of translation. Yet, the Lord had to encourage him to make the effort before he could teach him the lesson. And there were other more personal reasons in Oliver’s life for his having to learn this important lesson. This scripture has great meaning to me because I cannot count the times in my life when I have felt angry, disappointed, or confused when things didn’t turn out as I thought they would. The first of these was when I was called on my mission and received my setting-apart blessing from Elder Harman G. Rector. I was told that I would be called to leadership positions “even to being called to be an assistant to the President.” I served faithfully and honorably and worked hard throughout my mission, and I served as a District Leader in two different districts. But I never was called to be an Assistant to the President. I was called in my final months to be a “teaching assistant,” traveling around the mission and helping the elders to improve their teaching. But I did not consider that to be the fulfillment of my blessing, and I was disappointed and worried that somehow I had failed. It took a few years of maturing spiritually after my mission for me to realize that I was putting a capital “A” on Assistant, and the Lord had intended only for me to “assist” (with a small “a”) the mission president in the important work of improving missionary teaching. A second important lesson for Oliver from his failure to translate was that he took the process too lightly, with insufficient effort. The Lord says “you did not continue as you commenced, when you began to translate” (v. 5). This suggests that he started out all right, using his faith and the spirit of revelation to translate the first few lines. But then, perhaps taking it too lightly, he began to assume that it would get easier and stopped applying himself as he had before, that the Lord withdrew the privilege from him (v. 5). The Lord said to him, “Behold, you have not understood; you have supposed that I would give it unto you, when you took no thought save it was to ask me” (v. 7). This principle could occupy an entire chapter by itself. The Lord never does for us what we can do for ourselves. If He did, He would be denying us the opportunity to learn and to grow from our own experience, which is the fundamental purpose of life. This “let God do it” attitude is wildly popular among Christian sectarians who imagine a God who takes control of every detail of every life, and we are supposed to sit back and let God make everything happen. On the flip side of that belief are those who say, “If there was a God, he would never have let this happen.” In both cases, they are assuming that God operates as Satan proposed in the beginning—controlling everything without human agency or accountability. It might be less messy, but this is certainly not how God operates. We must make more effort than to simply ask Him. We must think and take action before he can guide us. Discerning Between Right and Wrong Choices. The action the Lord expects us to take is to “study it out in your mind” and then “ask me if it be right” (v. 8). This suggests that we must carefully do our homework on a problem, consider the options, and then make a decision. Then, and only then, we can take our decision to the Lord and ask Him if what we have decided is right. The Lord said to His disciples, “If any man will do [God’s] will, he shall know of the doctrine, whether it be of God, or whether I speak of myself” (John 7:17, emphasis added). We can only receive a testimony of tithing by paying it. We can only know the Book of Mormon is true after we have read it. We can only know that the course that we are pursuing is correct by choosing it and then asking God if he will bless us in doing so. When reading the rest of these verses, we should keep in mind what the Lord said in His previous revelation to Oliver Cowdery before he attempted to translate: “I will tell you i n your mind and in your heart , by the Holy Ghost, which shall come upon you and which shall dwell in your heart” (D&C 8:2, emphasis added). The Lord says in these later verses that “if it is right I will cause that your bosom shall burn within you; therefore, you shall feel that it is right” (v. 8, emphasis added). This is the portion of revelation that comes to our heart through the Spirit. “But if it be not right you shall have no such feelings, but you shall have a stupor of thought that shall cause you to forget the thing which is wrong” (v. 9). This is the portion of revelation that comes to our mind, and we will be confused and uncertain and forgetful of things that God does not want us to do. Thus we will receive no confirmation in either our minds or out hearts, and we will know by this that it is wrong. S. Dilworth Young said, ” If I am to receive revelation from the Lord, I must be in harmony with him by keeping his commandments. Then as needed, according to his wisdom, his word will come into my mind through my thoughts, accompanied by a feeling in the region of my bosom. It is a feeling which cannot be described, but the nearest word we have is ‘burn’ or ‘burning.’ Accompanying this always is a feeling of peace, a further witness that what one heard is right. Once one recognizes this burning, this feeling, this peace, one need never be drawn astray in his daily life or in the guidance he may receive.” (“The Still Small Voice,” Ensign, May 1976, 23). However it is given, revelation comes only from the Lord (v. 9), who is the source of all truth and light. Thus, we must be “in tune” with Him before we can discern his will. Any degree of willful unrighteousness will disqualify us from receiving the Spirit and thereby being able to discern the spirit of revelation. But if we are faithful and energetic and righteous, the Lord will pour out his revelations upon us through a variety of circumstances and means. John A. Widtsoe said that the Prophet received revelation in different ways as he matured in his calling. 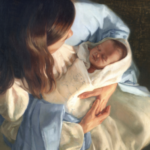 At first his communications with the heavens were direct— visitations from God, his Son, and angels. Then he used the Urim and Thummim as a medium. Finally, “he learned to bring his mind into such harmony with divine forces that it became, as it were, itself a Urim and Thummim to him; and God’s will was revealed without the intervention of external aids.” (Evidences and Reconciliations [ Salt Lake City : Improvement Era], 90). The Prophet Joseph Smith said: “Doubt and faith do not exist in the same person at the same time; so that, persons whose minds are under doubts and fears cannot have unshaken confidence; and where unshaken confidence is not, there faith is weak; and where faith is weak the persons will not be able to contend against all the opposition, tribulations, and afflictions which they will have to encounter in order to be heirs of God, and joint heirs with Christ Jesus; and they will grow weary in their minds, and the adversary will have power over them and destroy them.” (Joseph Smith, comp., Lectures on Faith [Salt Lake City: Deseret Book Co., 1985], 126; as published in the Messenger and Advocate , (May 1835), Lecture Sixth). Marvin J. Ashton said, “Satan wants us to feel unequal to our worldly tasks. If we turn to God, He will take us by the hand and lead us through our darkest hours.” (General conference Address, October 1980; Ensign , November 1980, 60). Virginia H. Pearce said: “A large part of conquering daily fear is simply doing things that we don’t know how to do—yet. . . . I’ve just finished reading Eleanor Roosevelt’s biography. . . . This was a woman whose early life was ruled by fear and self-doubt. She described herself as an awkward adolescent, unattractively tall, with protruding teeth, dressed inappropriately, and so ill at ease with others her own age that parties and dances were dreaded occasions. How did she move from that to the kind of confidence that allowed her to contribute so widely? She said, `You gain strength, courage, and confidence by every experience in which you really stop to look fear in the face. You must do the thing which you think you cannot do’ (Karen McAuley, Eleanor Roosevelt, New York: Chelsea House Publishers, 1987, 105) . . . Are you remembering that you have had hands laid on your head—that you have been given a gift? Use that gift to conquer your fears!” ( Ensign , November 1992, 91–92). We learn from this revelation that if we faithfully perform our callings, God will prosper and protect us. The Lord holds up Joseph Smith as an example of someone whom He blessed far beyond his capacity in order to perform His work. “For, do you not behold that I have given unto my servant Joseph sufficient strength, whereby it is made up?” (v. 12). Neither Joseph nor Oliver were to feel condemned by their weakness—and neither should we. They were to “do this thing which I have commanded you, and you shall prosper”—and so will we (v. 13). He would not let them fail in their sacred task of bringing forth the Book of Mormon, and He will not let us fail in our responsibilities either, so long as we are “faithful, and yield to no temptation” and “stand fast in the work wherewith I have called you,” which, if we will do, “a hair of your head shall not be lost, and you shall be lifted up at the last day” (vv. 13–14). Just a little thing, Meridian: Our church art will soon be updating to have more visual accuracy. Here, at the beginning of the article is an image of the Prophet translating directly from the plates. Our newer art will be depicting him translating via a seer stone.